Elite squad members Parvez Ahmed and Akaash Ashok Kumar of Karnataka continued to maintain their lead at the end of first Block of 6 Games in Round 1 of Uniply 28th National Tenpin Bowling Championship, currently underway at Amoeba, Church Street, Bangalore. At the end of Round 1, Parvez Ahmed (1184) finished on top and is leading Akaash Ashok Kumar (1166) by18 pins. Dinesh Kumar G (1158) and Akram Baig (1144) of TamilNadu are in Third and Fourth positions respectively, after first block of six games in Round 1. 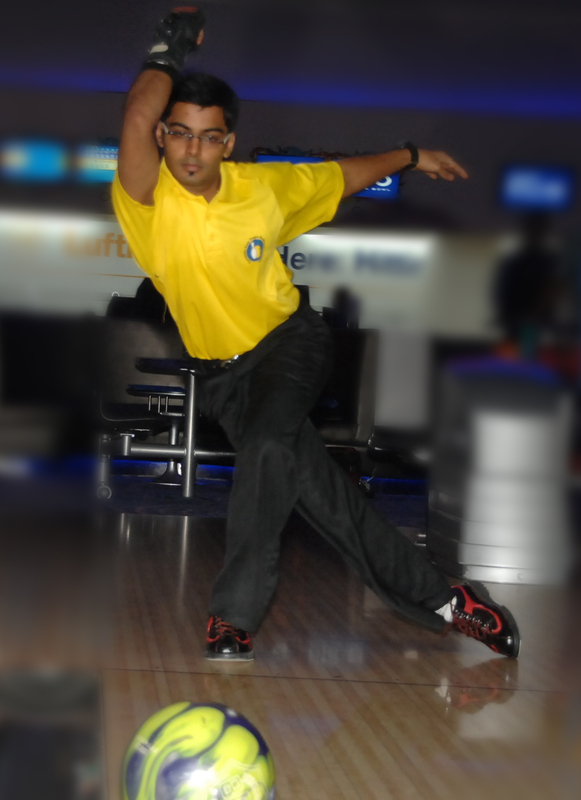 Dinesh Kumar started the day with scores of 170 and 191 in Game 1 and Game 2. He opened four frames in Game 3 which resulted in low score of 139. Hecovered it up with high games of 226, 245 and 187 in Game 4, Game 5 and Game 6 and finishing the day with total pinfall of 1158 pins in 6 games. Akram Baig started the day with high game of 223 and played consistently to score 170, 197, 194, 172 and 188 in the next 5 games and finished the day with total pinfall of 1144 in 6 games. Soban D is in Fifth position with total pinfall of 1143 in the first block of 6 games. Second Block of 6 games on Medium Oil Conditions is currently underway. Please see attachment for detailed score sheets.